Credits’ purchase process with Bitcoin is simple and you need to contact our Support Department (Accounting) to complete it. 1. 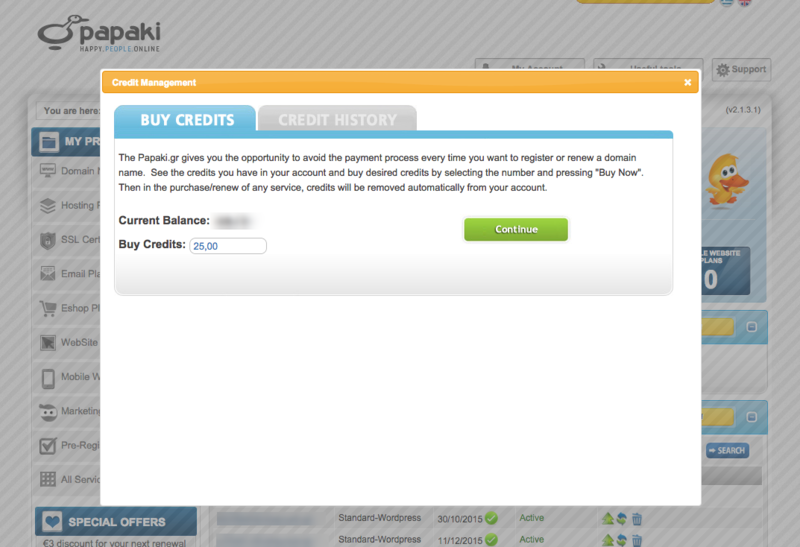 Proceed to a credits’ order through your Papaki Control Panel (eg. 25,00). 2. Choose your invoice details and for payment type "Via bank (DIAS System)”. 3. 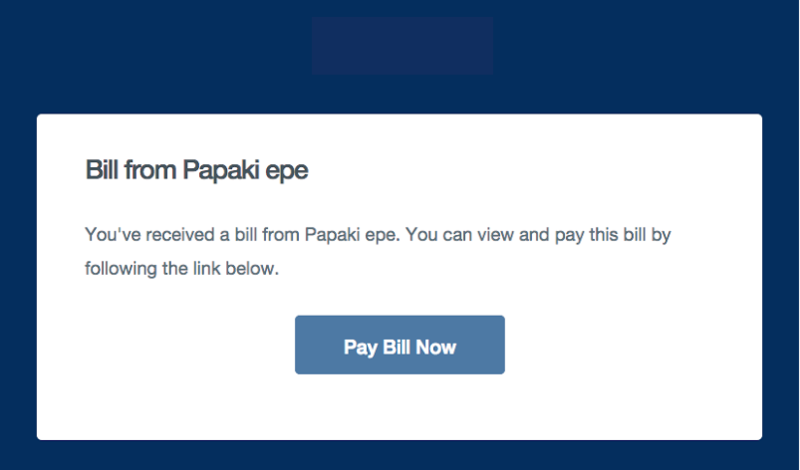 Subsequently, contact our Support Department (Accounting) to ask for credits purchase with Bitcoin, as well as the amount you wish (the same as your credits’ order you made prior in the Papaki Control Panel). 4. Our Support Department (Accounting) will send you an email with the link to complete the purchase. The sender of the email will be the Bitcoin exchange companies we work with. 5. 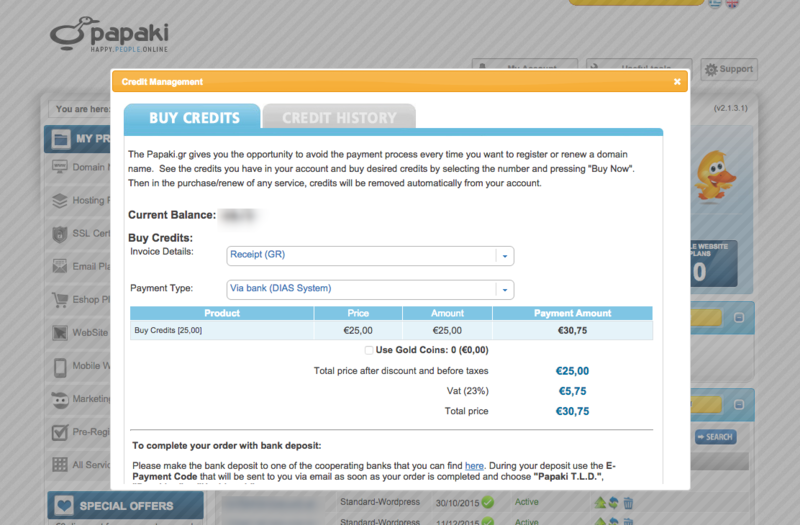 Click on the button-link "Pay Bill Now” and scan the QR code that appears. For the scanning use the mobile app for bitcoin payments you have installed. Congratulations, you have completed the payment! 6. 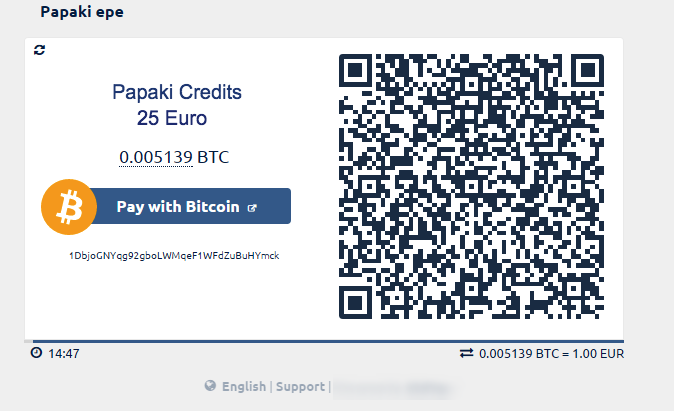 Our Accounting department finds the order for the credits and makes the payment with Bitcoin. In order to buy Credits with Bitcoins you can contact our Accounting Department from Monday to Friday, 09:00 - 16:30.